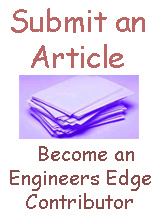 The following are to links to Bearings editorials and engineering data. A bearing is a machine element that constrains relative motion and reduces friction between moving parts to only the desired motion. The design of the bearing may, for example, provide for free linear movement of the moving part or for free rotation around a fixed axis; or, it may prevent a motion by controlling the vectors of normal forces that bear on the moving parts. Many bearings also facilitate the desired motion as much as possible, such as by minimizing friction. Bearings are classified broadly according to the type of operation, the motions allowed, or to the directions of the loads (forces) applied to the parts. Angular Contact Bearings - Review Angular contact bearings are constructed such that their races and the bearing balls contact points are at some angle relative to the axis of the operating axis of the bearing. Ball Bearings Fatigue Life Calculations and Load Ratings Fatigue life calculations assume the dispersion in life of identical ball bearings operating under identical conditions, a statistical result is obtained for bearing fatigue life. Ball Bearings Application and Standard Designations The single-row deep-groove radial contact ball bearings will take radial load well and some thrust load. Ball Screw Support Bearings Ball screw is a mechanical linear actuator that translates rotational motion to linear motion with little friction. Bearing Application Table Chart Bearing design data presented here provides guidelines and reference for the identification of potential bearing application. Bearings and Lubrication Application Generators Several types of bearings, each with specific lubrication requirements, are used on the generators. Bearing Life Formula Based on Speed, Load and Hardness, Ball Bearings, Radial Bearings, Thrust Bearings Ball Bearings life is related to load and speed of rotation, and this relationship must be considered when selecting bearings for various speed and life requirements. Bearing Types and Representation - Ball Bearings, Roller Bearings, Thrust Bearings, Needle Bearings Bearing Types and Representation - Ball Bearings, Roller Bearings, Thrust Bearings, Needle Bearings. Bearing Materials Review The most common material used to produce the load carrying components in precision ball bearings, roller bearings, and tapered roller bearings is 52100 chrome steel. Bushing and Plain Bearings Press or Shrink Fit Design and Application Press fit or shrink fit bushing design and installation is a common method of retaining bearings by use of interference between the bushing and the bushing hole. Ceramic Bearings Ceramic bearings offer many advantages over all steel bearings, such as higher speed and acceleration capability, increased stiffness, lower friction and more. Critical Speeds of Rotating Shafts or Mass Review The center of a rotating mass is always offset from the center of rotation. This is due to the reality of imperfect geometry and uneven mass distribution. Critical Speeds of Rotating Shafts with Single Loads When calculating critical speeds, the weight or mass of the rotating cylinder or shaft is assumed to be zero or add 1/2 to 2/3 of the rotating shaft to the load mass. Efficiency Calculation of Sliding Contact Bearing Supported Pulley This calculator will determine the efficiency of a pulley supported by a contact bearing. Force Analysis Four Point Contact Ball Bearings Four point contact ball bearings are capable of resisting radial, thrust, and moment loads, it is ordinarily subjected to a combination of two or more of these loads wherever it is applied. Miniature Bearings Application Miniature bearings commonly used in fractional horsepower motors, domestic appliances, precision instruments, tape recorders and similar devices. Precision Bearings Applications This class of bearings which the bearings components are manufactured to extra tight tolerances for use at high speeds, radial and thrust loads. Radial / Deep Groove Ball Bearings Are constructed of one row of balls ( referred to as single row ), which revolves around the groove of the inner and outer ring or race. Stainless Steel Bearings Stainless steel bearings are preferred where corrosion and chemical resistance are required. Thrust Ball Bearings Magnitude of Life Ratings Use the following equation to calculate the magnitude of life rating . Thin Section Bearings Application Considerations There are three types of thin-section bearings: radial contact, angular contact, and four-point contact bearings. Thrust Chart Thrust is a reaction force described quantitatively by Newton 's second and third laws .